But, like a liquid lipstick, they also have really good pigmentation. 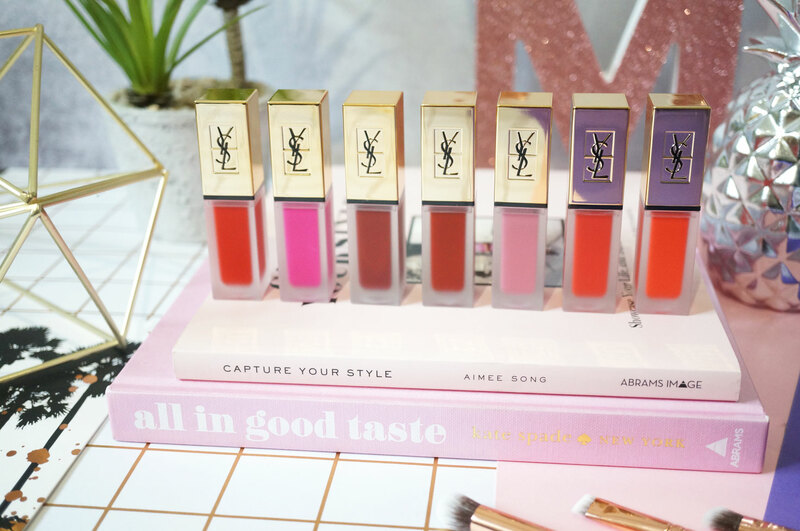 Don’t get me wrong, they’re not completely 100% opaque, but considering the weightless formula, I think YSL have done an excellent job of giving a remarkable amount of colour, without the heavy, drying feeling of a traditional liquid lipstick. 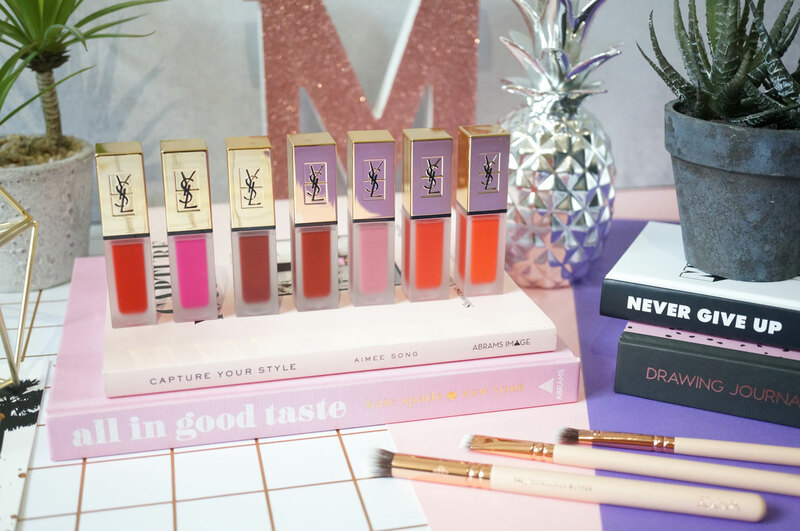 I’d actually go so far as to say these are slightly moisturising too – who’d have thought we’d ever see this in a matte finish liquid lipstick! The applicator is also like nothing I’ve ever seen before. It’s wide, flat and slanted, with a hollowed out section in the centre to pool the product ready for spreading on the lips. The pointed end really helps you apply with precision as the sharp edge is perfect for defining the lip line – you can really tell this product has been carefully thought out right to the finer details. 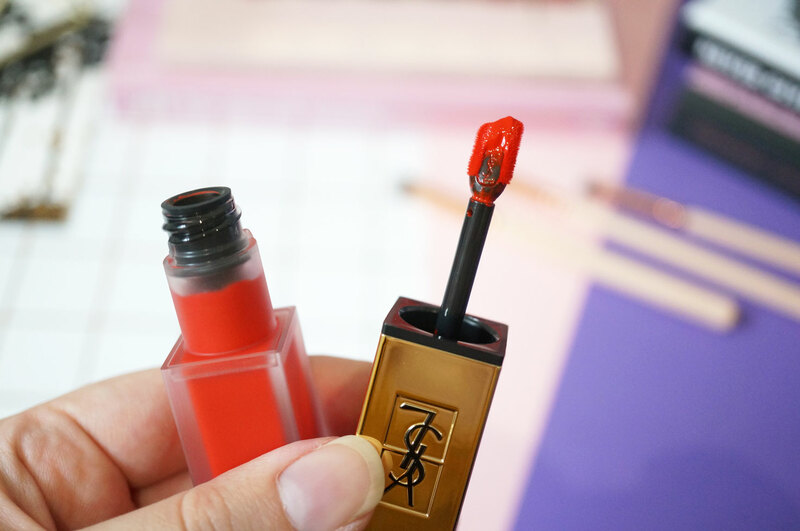 01 Rouge Tatouage – a true bright red. 08 Black Red Code – a deep burgundy red. 09 Grenat No Rule – a blue toned red. 11 Rose Illicite – a light baby pink. 13 True Orange – a true intense orange. 17 Unconventional Orange – a bright tangerine orange. You can see that the only swatch that looked quite sheer was Rose Illicite, the baby pink shade. But this actually applied just as well as the others on the lips, giving great colour payoff. If you’re a fan of matte finish liquid lipsticks, but not that heavy, drying feel on the lips, then I highly recommend you check these out. 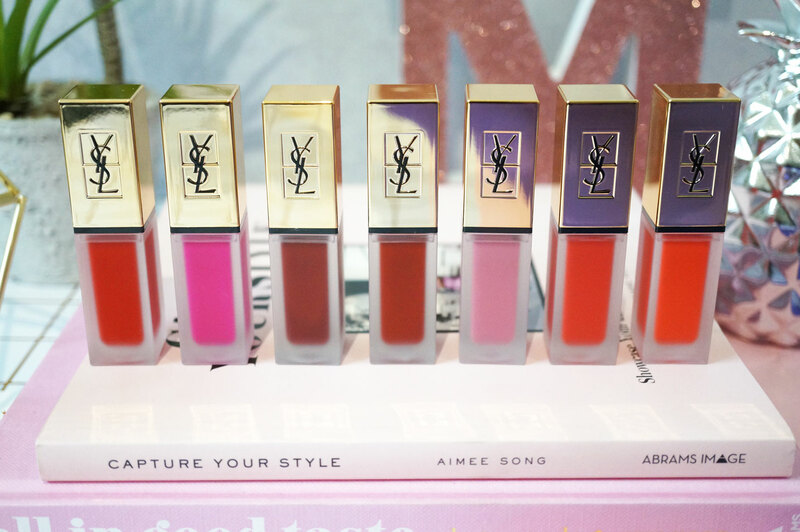 The YSL Tatouage Lip Stains are £29.00 each and available now at YSL, Boots and John Lewis. Urban Decay Naked Smoky Palette + Giveaway! Next Post Christmas: The You Beauty Advent Calendar SPOILER!